Of the investments that be made to your home, nothing has a more dramatic impact than new siding. In just days, your home goes from old and drab to looking like it was just built. That’s not an exaggeration. We can show you scores of before and after pictures that are astounding. They don’t even look like the same house. Like our Marvin® Infinity Replacement Windows, there is a huge difference in the quality of siding that can be installed. 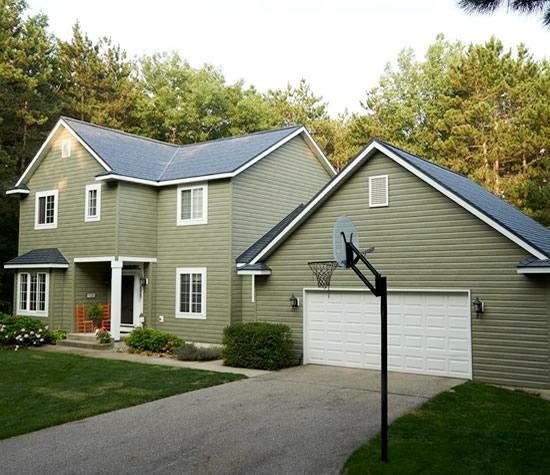 It is no surprise we only recommend going with high steel quality siding. Cheap vinyl siding seems attractive because of the price, but before long it start to fall apart, leaving you unhappy with a “deal” that doesn't seem very good anymore. We once heard that "over time there is nothing more expensive than buying cheap." When it comes to siding, this couldn’t be truer. If you are concerned about cost… don’t be. Our pricing is more than fair and we offer fantastic value for the quality plus adding high quality steel siding to your home will INSTANTLY increase the value of your home! Our first choice, and what we typically recommend to our customers is, steel siding using TruCedar Seamless Steel Siding by Quality Edge. Plain and simple, nothing will last longer and look better over time than steel siding. 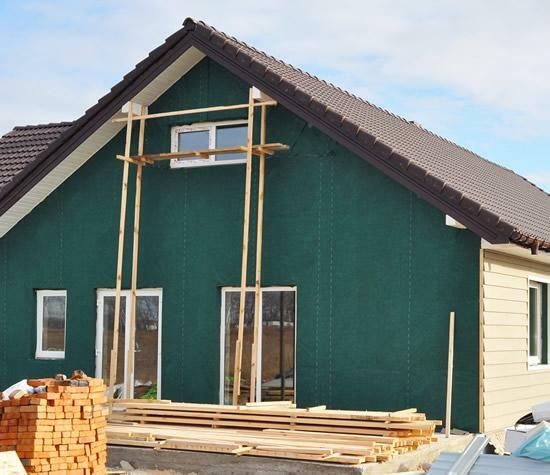 When installed by qualified professionals, your steel siding will last decades. Don’t let the name fool you. Steel siding comes in a wide range of styles and can achieve virtually any look you like. If you think steel means industrial looking, you haven’t seen high quality steel siding. Whatever the style of your home there is steel siding that will fit in perfectly and look beautiful. An added benefit is that steel siding eliminates those unattractive seals that you typically find with inferior siding. And if all of that isn’t good enough for you - steel siding is also the best choice for the environment because it is 100% recyclable. While we typically recommend steel siding for our customers, there are times when a different high quality material such as fiber cement, insulated vinyl, or LP SmartSide’s engineered wood siding is a better choice. You have our word that we will listen to your needs and ALWAYS recommend the best choice for your home and family. 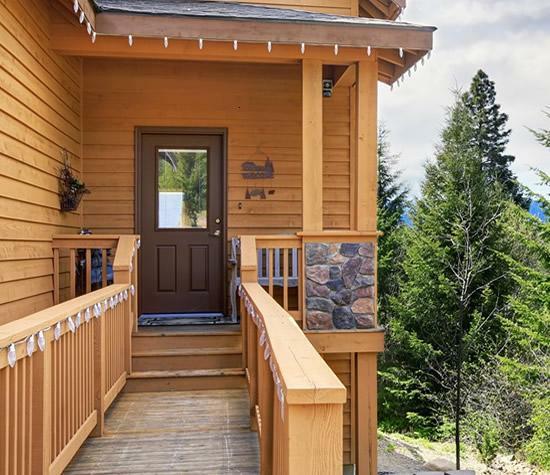 Unlike traditional wood siding that is prone to damage and deterioration, the engineered wood siding from Midland Exteriors is built to last. From high winds to UV rays, this siding withstands the elements and comes in a wide array of stylish options to suit the unique architecture of your Kansas home. Our replacement insulated siding wraps your Kansas home in a blanket of moisture-resistant foam to boost energy efficiency and make it easier to maintain a comfortable temperature—no matter the weather. If you’re ready to make the jump to insulated siding and start saving on your energy bills, our team at Midland Exteriors is here to help you choose the right insulated siding. Look, the truth is that the average homeowner across Kansas, including Manhattan, Topeka, or Emporia, has no idea how their siding is being installed. Would you ever know if your installer just slapped the siding onto the outside of your home instead of properly securing it by nailing it into interior studs? Eventually you would probably find out when pieces start to come off your home, but by then that type of “contractor” is long gone. That’s the primary reason why the siding industry has such a bad reputation. There are many companies out there that are more than happy to just slap some siding on to your home and call it a day. If you’re lucky, it might even look okay (for a short time anyway). That’s why we started Midland Exteriors in the first place. We felt (and feel) strongly that our community needed a home remodeling company they could rely on - one run by ethical people that have roots here. If you are considering new siding – or if you just want to find out more about what’s involved – please give us a call toll-free at (855) 735-8255 or request an estimate online. We are always happy to provide information and a free NO PRESSURE price quote. It would be our pleasure to speak with you.